In this picture we can see a very simple but effective device to use the heat of the sun. 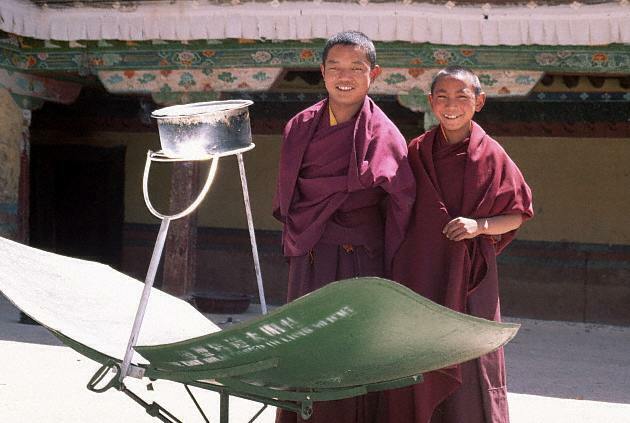 When other forms of energy are not available; two Tibetan monks use a solar oven to cook their meal: the two parabolas focus the sunrays on the pan, which then manages to reach adequate temperatures to cook the food. The picture was taken in Lhasa, Tibet (China).